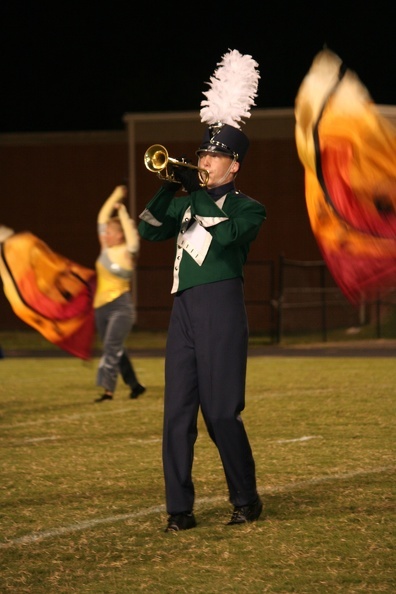 The SLHS Band Program consists of six essential groups. All placements are by auditions held in the spring with results posted by the end of the school year. All ensembles require after school rehearsals and performances. More information about each group is available by clicking the links below. 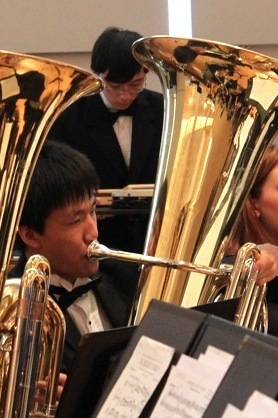 Band students learn important lessons about focus, commitment and teamwork. 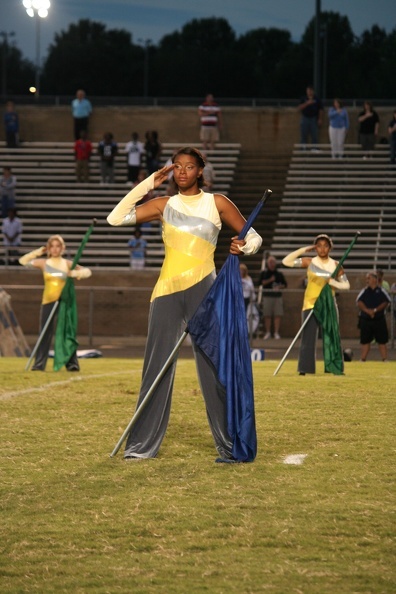 Students also take on many leadership roles including band offices, section leaders, drum majors and flag corp captains. Music is about communication, creativity, and cooperation. Band builds strong ties within the group as they work toward common goals. 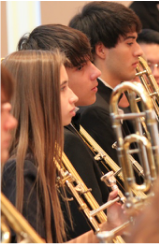 The many attributes and skills students gain in band help build enthusiasm for their school and themselves. A musician is constantly adjusting decisions on tempo, tone, style, rhythm, phrasing, and feeling—training the brain to become incredibly good at organizing and conducting numerous activities at once. Dedicated practice of this orchestration can have a great payoff for lifelong attention skills, intelligence, and promotes self-expression and provides self-gratification while giving pleasure to others. The skills learned through the discipline of music carry over into intellectual pursuits that lead to effective study and work habits, communication skills, and cognitive skills useful in every part of the curriculum. Children with music training have significantly better verbal memory than those without such training, and the longer the training, the better the verbal memory. Students in high-quality school music programs score 17% to 22% higher on standardized tests, regardless of the socioeconomic level. Students with coursework/ experience in music performance and music appreciation score higher on the SAT, 41-44 points higher on math and 57-63 points higher on verbal. Schools and students in music programs have significantly higher attendance rates and higher graduation rates. The College Board identifies the arts as one of the six basic academic subject areas students should study in order to succeed in college. They view participation in music as a valuable experience that broadens students’ understanding and appreciation of the world around them. *Facts on the value of music are from The National Association for Music Education.